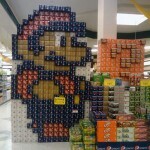 I am always impressed when some stock boy creates some sort of amazing display out of pop boxes. 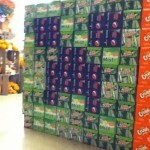 I may not be a pop drinker, but I am a pop box display admirer! 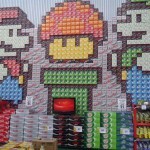 In particular, I have always enjoyed this Super Mario Bros pop box display. 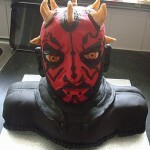 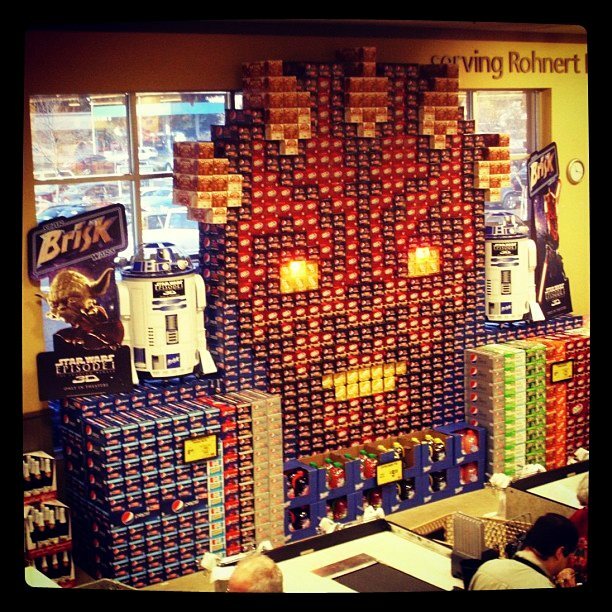 Anyway, apparently in celebration of the release of Star Wars Episode I: The Phantom Menace in 3D to theaters, somebody decided to make this amazing Darth Maul soda box display. 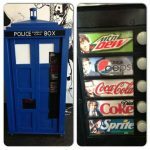 I’m kind of curious if those R2-D2 coolers on the side are for sale because I have wanted one since I was a kid!